As many Venice residents know, the VSA sued the City and County of Los Angeles a few years ago for maintaining a dangerous public nuisance along the Venice Boardwalk and beach. At first we prevailed against the City and County. Then we lost an appeal and have appealed the case ourselves. The Court has taken almost a year to prepare the legal record of the case and is about to release it to our attorney, Jonathan Deer, a veteran appeals attorney and Venice resident. However, the Court is holding the record hostage for reimbursement of their costs in staff time and duplicating of documents. So, we are turning once again to residents to help underwrite the $1,700 cost of the record. Our legal theory is that the City routinely brings suits against drug dens and other public nuisances to force the owners to abate the crime that emanates from those properties or to compensate residents for the burdens they experience from the noxious affects from the property - think of noise and smells, for example, effects which have won other residents damage awards. We are not seeking damage awards but rather the end of the crime and noise that ripple out from the publicly-owned Venice Beach Recreation Area. Please help us by making a contribution of $100 or more to allow us to continue our effort to make Venice safer for residents and visitors alike. 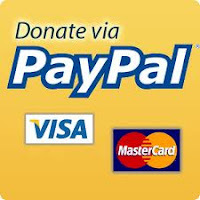 Contributions may be made on this page by PayPal or mailed to Venice Stakeholders at 1615 Andalusia Avenue, Venice, CA 90291.